Knorr-Bremse, the world’s leading manufacturer of braking systems for commercial vehicles, is to enter into a partnership with UK-based telematics provider Microlise. Together they will be introducing a modular telematics system across Europe. Vehicle operators stand to benefit from extensive safety functions, better vehicle planning and live coaching sessions for drivers. As Dr. Peter Laier, Member of the Executive Board of Knorr-Bremse AG responsible for the Commercial Vehicle Systems division explains: “In the future, the individual truck will increasingly become part of an overarching logistics system. Connectivity at multiple levels can lead to a marked improvement in the efficiency of each individual vehicle. With TruckServices ProFleet Connect, we are offering more than just a link between the vehicle and the fleet management system. We are delivering smart services which, based on the collected data, offer added value for fleet operators and drivers alike. And our telematics solution is not only modular, it’s also compatible with any make of vehicle. In Microlise we have found a partner who already has working relationships with a whole series of vehicle manufacturers and together with whom we are going to launch our range of attractive products and services for the transport management sector in Europe." DriverPlus supports the driver with integrated telephone and navigation functions, and remote download of tachograph information. It also enables job data and route changes to be communicated. SafetyPlus provides instant feedback on safety incidents, such as emergency braking, and stores information about what happened 30 seconds before and after an incident. LogisticsPlus enables real-time tracking of deliveries and if necessary can interface directly with the customer’s ERP software to exchange the relevant data. DeliveryPlus provides the basis for documentation of a shipment from start to finish, including photographic evidence of the condition of the freight when picked up and delivered, with dispatch and arrival times. DiagnosticsPlus supplies current vehicle data and delivers status reports. This way, fleet managers can respond in good time if a specific parameter is outside the normal limits. MonitorPlus extends the data package provided by DiagnosticsPlus. From tire pressure to door and temperature sensors in a refrigerated semitrailer, MonitorPlus records all available parameters as required, showing a customer, for example, that the cold chain has never been broken. According to Wolfgang Krinner, Member of the Management Board of Knorr-Bremse Systeme für Nutzfahrzeuge: “With our telematics solution, vehicle operators can cut costs in several respects, for example by saving fuel, reducing administrative cost and effort or optimizing their driver training. 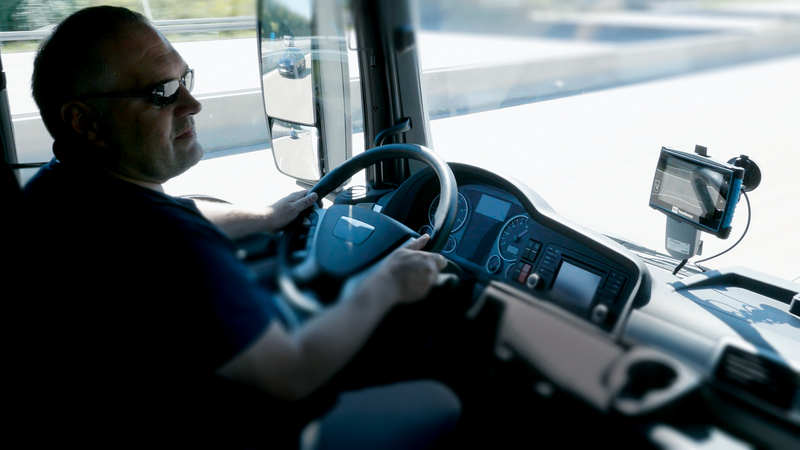 Above all, though, they can bring about a huge improvement in the safety of their drivers and vehicles, and in their quality assurance.” TruckServices ProFleet Connect will be launched in 2017 in Germany, Austria and Switzerland, before being gradually rolled out across Europe in subsequent years. Knorr-Bremse officially launched the new TruckServices brand at the 2016 automechanika trade fair. TruckServices brings together the full range of the company’s aftermarket services, complementing its activities in the original equipment sector. With the gradual expansion of its portfolio, Knorr-Bremse TruckServices is underpinning its claim to provide reliable, economical solutions for diagnostic, maintenance and repair work on commercial vehicles of any type, age or make. Dealers, workshops and fleet managers stand to benefit from these needs-based solutions, as well as from efficient, international parts logistics, plus access to Knorr-Bremse’s extensive product and services expertise in the form of online services, training courses and customized advice. In this context, TruckServices works closely with the multi-brand workshop network Alltrucks, successfully established by Knorr-Bremse in collaboration with Bosch and ZF. With currently more than 200 Alltrucks workshops in five European countries, the network offers a comprehensive portfolio of maintenance and repair services for all makes of commercial vehicle.